From November 8 to 9, 2018, the 2018 U.S.-Japan Council Annual Conference was held in Tokyo. 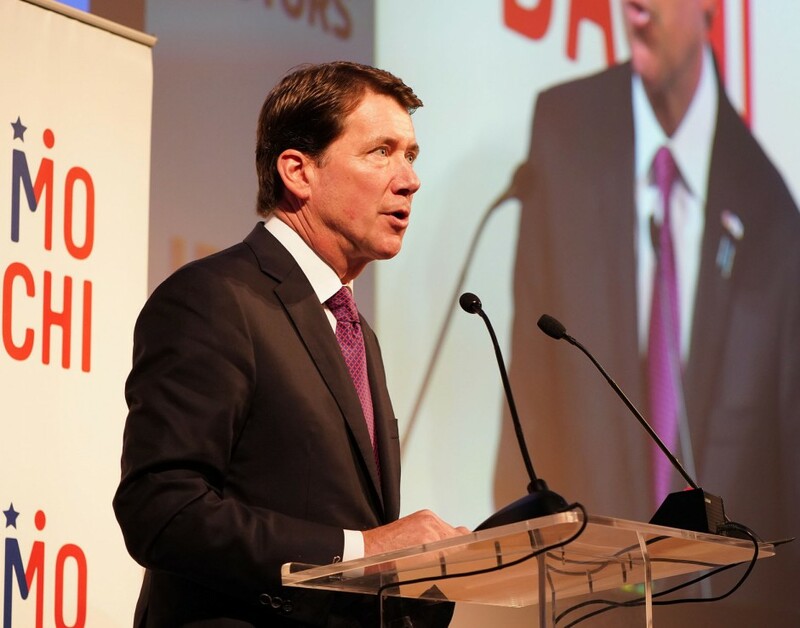 This year’s conference was themed “Partnering for Impact Today, Investing in a Sustainable Tomorrow” and was attended by more than 700 American and Japanese leaders from all sectors. 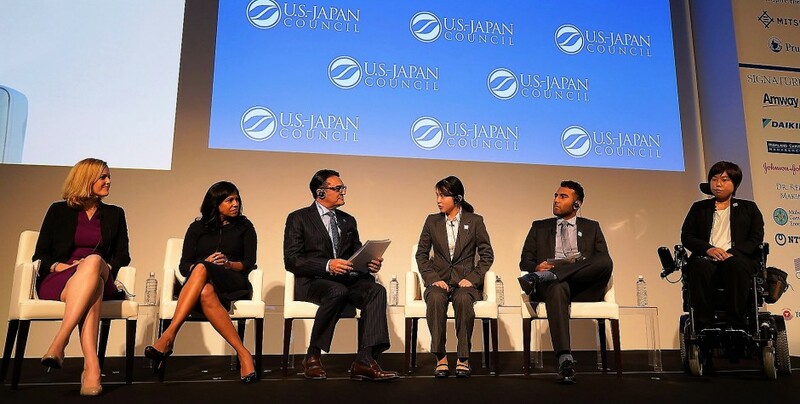 Three TOMODACHI alumni, Juan Hernandez, Mio Kakuchi, Toshiko Kudo, had the opportunity to speak at one of the Annual Conference Plenary Sessions, “The TOMODACHI Generation: Next Generation Leaders Shaping our Future” on November 8, and share their experiences during the TOMODACHI Programs. The reception was attended by distinguished guests including Japanese Foreign Minister Taro Kono, the U.S. Ambassador to Japan William F. Hagerty, and Ambassador Masaharu Kohno, Senior Advisor to TOMODACHI and Special Representative of the Government of Japan, as well as key business and government leaders from the United States and Japan. 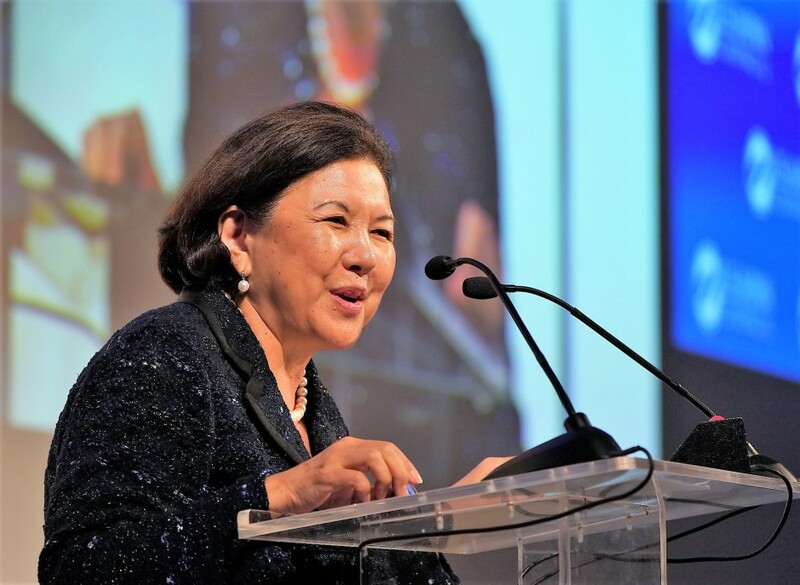 At the beginning of the reception, U.S.-Japan Council President Irene Hirano Inouye announced a new partnership with Amway Japan Foundation that will enable TOMODACHI to continue developing young leaders in Tohoku, through an exchange program focused on inbound tourism. Furthermore, several additional announcements were also made, including the extension of partnerships with Mitsui & Co., Ltd., Prudential Financial, Inc., Mitsubishi UFJ Financial Group Inc., and Sumitomo Corporation, FAST RETAILING CO., LTD., Johnson and Johnson Family of Companies in Japan, and Honda Motor Co., Ltd.
Over 7,000 alumni have participated in TOMODACHI programs since TOMODACHI’s inception in 2012.